Videos, Fotografien, Malerei, Performances und Installationen aus Einsendungen im Rahmen einer internationalen Ausschreibung. Im Ergebnis einer Ausschreibung für neue Projekte: Carlos Monroy, Cristiano Lenhardt, Keli-Safia Maksud, Ting-Ting Cheng. Abdoulaye Konaté, Gabriel Abrantes, Rodrigo Matheus, Sonia Gomes, Yto Barrada: Grundlegende Erkundungen des Globalen Südens. Großer Preis, Spezieller Preis und 10 Residenzpreise, ausgewählt aus Einreichungen zu einer Ausschreibung. Mit dem 19. Zeitgenössischen Kunstfestival Sesc_Videobrasil | Südliche Panoramen hat die plurale Kunstproduktion des Globalen Südens São Paulo im Sturm erobert. Diese Edition des Festivals umfasst drei Ausstellungen mit Werken von insgesamt 62 Künstlerinnen, Künstlern und Gruppen aus 27 Herkunftsländern, die im Sesc Pompeia und in Galpão VB, dem neuen Hauptquartier der Associação Cultural Videobrasil, gezeigt werden. Darüber hinaus gehört eine parallele Schau im Paço das Artes mit Werken aus der Sammlung von Videobrasil zum Programm. Das Kuratorenteam, bestehend aus Bernardo José de Souza, Bitu Cassundé, João Laia, Júlia Rebouças und Solange Farkas (Chefkuratorin), fokussierte sich auf den Süden in seinen unzähligen Erscheinungsformen als den Kern der diesjährigen Edition. Davon sind die Auswahl der Kunstwerke und Veranstaltungen sowie der kuratoriale Ansatz aller Ausstellungen, Bildungsprogramme und Publikationen geleitet. For the first time ever, the Festival features a group exhibit by guest artists that attests to the potency of production from this geopolitical area. The Southern Panoramas | Guest Artists show, at Sesc Pompeia’s Galpão venue, features never-before-shown Festival-commissioned pieces by Abdoulaye Konaté (Mali), as well as works by Gabriel Abrantes (Portugal), Rodrigo Matheus (Brazil), Sonia Gomes (Brazil), and Yto Barrada (Morocco/France). 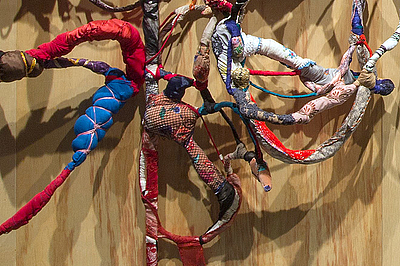 The aftermath of imperialism and colonialism, identity building, updated handicraft in the contemporary art context, global transit, and the culture-nature connection are some of the topics addressed in their work, filtered down through different experiences and languages. Sesc Pompeia also features pieces by 53 artists and groups selected through a call for submissions. 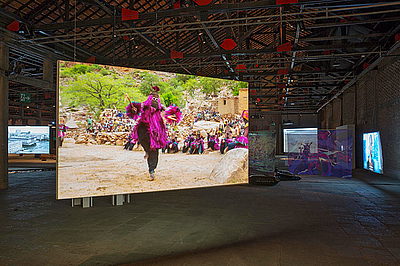 At Sesc Pompeia’s Área de Convivência, Southern Panoramas | Selected Artworks showcases videos, video installations, photographs, prints, paintings, performances, and installations. The exhibition design by architect André Vainer enables viewers to realize the commonalities between different pieces as they move around the premises. In certain pieces, political overtones prevail. Some deal with geographical displacement, diasporas, and the notion of belonging. The fictional gesture (tending towards science fiction) is also present, as is discussion surrounding the perception of human scale in relation to nature or major systems of power. Sesc Pompeia’s Teatro hosts the 19th Festival’s Film Program, featuring works created for the big screen, one performance, and a selection of pieces by guest artist Gabriel Abrantes. 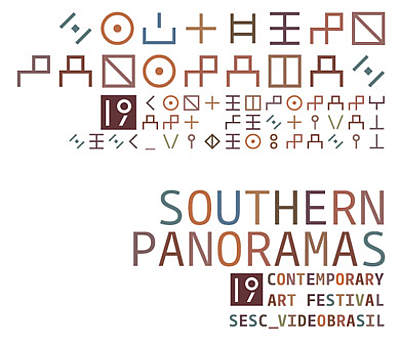 In the evening of October 10, the Award Jury of the 19th Contemporary Art Festival Sesc_Videobrasil | Southern Panoramas, composed of Hoor Al-Qasimi (UAE), N’Goné Fall (Senegal), Priscila Arantes (Brazil), Till Fellrath (Switzerland) and Sofía Hernández Chong Cuy (Mexico), announced this edition’s Awarded Artists. 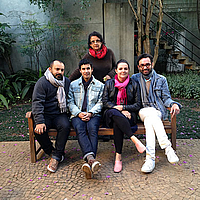 Hui Tao (China) received the Grand Prize, Haroon Gunn-Salie (South Africa) was granted the SP-Arte/Videobrasil Prize and nine artists were awarded residency prizes to be undertaken at partner institutions around the world. The Southern Panoramas | Commissioned Projects exhibit marks the Festival’s investment in the commissioning of artmaking projects, a new feature of this edition. The exhibit has inaugurated Galpão VB, the new Associação Cultural Videobrasil headquarters, set to host permanent Videobrasil Collection activation actions such as exhibits, film programs, seminars, workshops, and meetings. Galpão VB is also designed to host creative processes, artist residencies, and creative laboratories. During the 19th Festival, the venue features works by the artists selected via the open call for projects: Carlos Monroy (Colombia) has created an installation and performance about the controversial origin of the lambada dance and music style; Cristiano Lenhardt (Brazil) has worked on a film where Brazil's native background and urban settings come together; Keli-Safia Maksud (Kenya) has built an installation that speculates on African identity through printed fabrics; and Ting-Ting Cheng (Taiwan) prepared a library of hundreds of books about inexistent places. The parallel exhibition Quem nasce pra aventura não toma outro rumo (Those born for adventure don’t stray from the path) features Videobrasil Collection artworks at Paço das Artes. Curated by Associação Cultural Videobrasil’s Archive and Research coordinator Diego Matos, the show echoes reflections elicited by the 19th Festival. 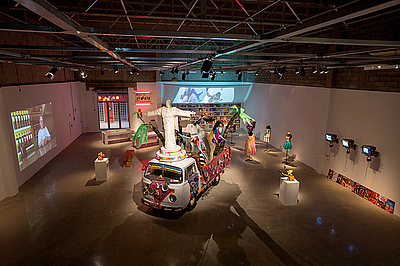 Taking Brazilian productions as its starting point, it reaches out to other outlying and borderline references, through 15 pieces by 17 artists, dating from 1978 to 2012. 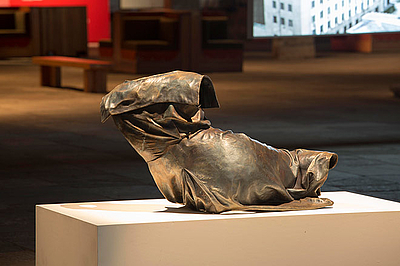 Artworks by Brazil’s Cao Guimarães, Carlos Nader, Karim Aïnouz and Marcelo Gomes, among others, are interspersed with productions by Nurit Sharett (Israel), Clive van den Berg (Zambia), Claudia Aravena (Chile), Gabriel Acevedo Velarde (Peru) and Malek Bensmail (Algeria), dealing with issues such as affection, time, democracy, document, fiction, speech, hearing, and dissent, and providing a comprehensive overview of Associação’s collection. Each of the venues has its own Reflection Zone, offering publications released in partnership by Videobrasil and Edições Sesc São Paulo, and computers with access to online platforms Channel VB, PLATFORM: VB, and Video Library, comprising 1500-plus works from the Videobrasil Collection. Exhibitions, Film Programs, Performances & Public Programs. In addition to three exhibitions, the 19th Festival's agenda is made up of film programs, performances, public programs (comprising meetings and conversations, seminar and workshops) and educational activities.